Introduction: In particular, I am very interested in a Byzantine princess, Anna Komnene. 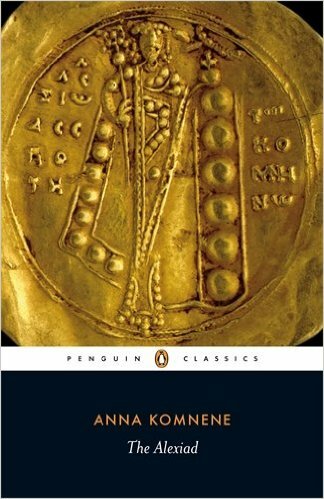 There are two aspects to her personality: one is that she is the author of Alexiad on which she described the deeds of her father, Alexios I Komnenos, and the only female historian in the society of medieval Christianity, and the other is that she is the chief conspiratress of two plots against her younger brother. Today, I will focus on the latter aspect, and look at two conspiracies plans in terms of her character as a princess hungry for power. Before getting into the theme of Today’s talk, I will tell you why I was attracted by Anna as an object of study. When I was a junior, I came across a book at the public library. The book led me to begin with my work on the subject, though it was just a novel about Anna, not an academic book. As I was reading it, I was fascinated by two aspects of Anna’s character: first, as the female historian, second, as the chief conspiratress. As a result, I wanted to know more about her, and decided to write a graduation thesis about her. To tell you the truth, at that time I was vaguely thinking of writing a thesis about the medieval history of England. The book about Anna changed my life. However I hardly had even a general knowledge of Byzantine history at the time. Therefore I began to read books and papers about Byzantine in Japanese. In time I was more interested in Anna’s role as a conspiratress than a historian. This is why I studied Anna as a conspiratress in my graduate thesis and master’s thesis.